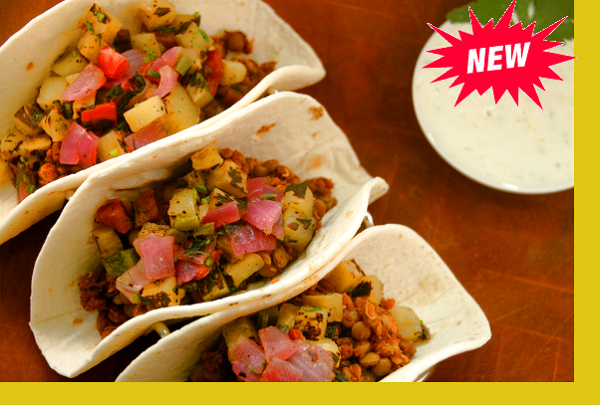 Chili lime infused lentils drizzled with a silky yogurt crema and topped with a sweet grilled pineapple salsa. Served with a spring salad with strawberry vinaigrette. Just Heaven. Rinse lentils with cold water. In a pot, add lentils together with 4 cups of water (8 for 4 servings and 12 for 6 servings). Bring to a boil then reduce to medium high heat. Cook to al dente or preferred tenderness but don't over cook as lentils will get mushy. About 15 mins for 2 servings. 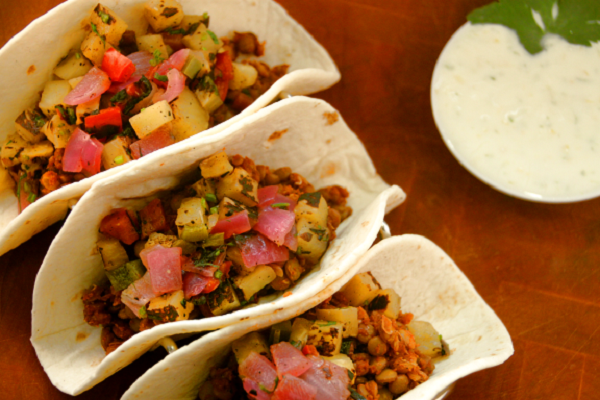 Mix with chili lime lentil paste and serve with salsa, reheated tortillas, crema and spring salad.